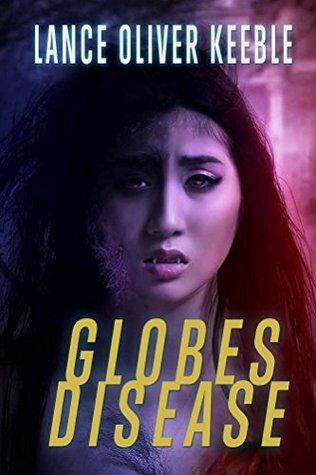 Globes Disease is a fast paced thriller that follows seven individuals as they suffer from the affliction of lycanthrope and are being hunted by a vampire because of it. What was the inspiration that made you want to write this suspenseful novel? The original idea began as a short story about a black man named Terry who is infected by a lycanthrope. As he walks down the street he wanders if people are looking at him because of his infection or because he is black. As I added more characters, more stories grew, and eventually a lot of the back stories became short stories, that became novellas and before I knew it, a novel! The characters, I felt, were well developed and really stood out as unique in the end. What was your favorite character to write for and why? Its difficult to say. I like them all. I have seven kids and four grandchildren, and a good number of nieces and nephews, I truly have no favorites. I love them each based on who they are. Lets just say, everyone that survived my book are my favorite characters (laughing). Though some of the ones that died had to die to move the story forward. I will say that Terry and Quake stand out to me for the males and Jodi and Goldy stand out for the females. I love your review of my book, it’s so dead on. I could never say in words what I was thinking when folks asked me what my novel was about. You hit the nail on the head. You mentioned names, believe it or not, Quake is based on someone I know, named Dozer, and Quake comes from a name I know of someone named Earthquake. I combined the two. As far as Ano, I went to school with an Austrian fellow who was a big guy and natural athlete name Onno, that’s where that name came from. Jodi is based on some Japanese and Chinese friends of mine who have traditional parents. I just turned them in to one girl. Goldy is based on the women I grew up listening to; beautiful, smart, professionals, and the challenges they faced in their lives. This book seamlessly blends many different genres. Was this planned before writing or did it happen organically? Organically, I actually like to tell stories about people and put them in precarious situations and see how they react. The genres you mentioned in your review are genres I know and love. So I naturally lean towards telling stories in those genres. I can honestly say that I would love to be the hybrid of King, Tarantino, Lee, Palahniuk, Shyamalan, Chaykin and Gaiman. I love how Gaiman has written comics, novels, movies, etc. That seems very natural and fluid to me. Writing what strikes you. Writing when you are inspired and writing in the genre and medium you want has got to be the best of feelings. Jodi and her friends all suffer from the same affliction. Each of them compelled to deal with their struggles in their own personal way. A thrilling action-packed novel about Lycanthropy through the eyes of 7 brave souls who suffer from the disease. Our tale centers around the life of one woman, Angie Brown, as she struggles to live and love in an unforgiving world. 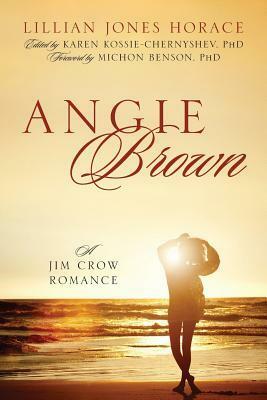 Angie Brown, A Jim Crow Romance was originally written by Lillian Jones Horace 68 years ago. Angie Brown is a window to the past: a look at what life was like for black people during the Jim Crow era. It opens with heartbreak as Angie is denied medical care for her ailing child. Angie is at a disadvantage for her entire life simply for being black. Her child is black. Therefore, they are treated as less than second-class citizens. The beginning of Angie’s heartbreak occurred before that moment, but is amplified as her child dies in her arms: denied a potentially life-saving treatment solely based on the color of his skin. Many books about this subject can feel like textbooks, but this book is beautiful and heartfelt. Wrapped up in an emotional love story, Angie Brown will teach its readers about life from the point of view of a young woman. She has loved, she has lost both her husband, Jim, and her son. She finds herself abandoned with no way to return home. Her religious mother has forsaken her and Angie must persevere if she wants to survive. Through her sorrow and her uncertainty Angie rises above the hand that life has dealt her. She works her hardest to become someone she can deem as worthy. While there is activism in this book on Angie’s part, it doesn’t overshadow the romance. It is important to understand that Angie is not going to take her fate lying down. As she learns and exposes herself to the world she begins to understand that she can make a difference if she wants to. Her eyes are opened to the trappings of the world and she realizes that someone must stand up for the young black children who are disadvantaged solely because of their skin color. Described with powerful words the reader may feel as though they are there as Angie involves herself with politics and does her best to support Roosevelt in his bid for president. He desires to be a president for all people, something that Angie believes in. Angie loves. She loses and she finds herself in sorrow. She sees the disgusting side of the world and she sees the beauty in it as well. She builds herself up from the timid young girl to the successful woman at the end of our tale. Angie Brown, A Jim Crow Romance by Lillian Jones Horace will show readers the beauty and agony of love against the backdrop of a time where injustice was rampant in the South. There are reading comprehension questions at the end of the book which make this an excellent selection for further classroom reading or even as an addition to a book club roster. The romance is beautiful in this tale but the underlying message is just as important. Whether you’re reading for fun or reading to learn more, you will not be disappointed with this book. Even though so much time has passed, this timeless piece remains poignant and elegant.